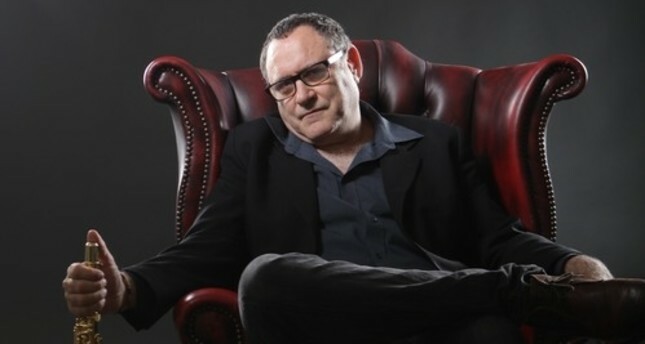 Burak Altun: Mr Atzmon, you are one of the most gifted jazz musicians around. In addition, you are actively engaged in peace in the Middle East and criticize the state of Israel within that context. I can see two separate identities here - you are a musician and a political activist. At the social and political level, you complain about identity politics in the West. What is it all about? How do you explain the allegations of anti-Semitism, which are repeatedly directed against you? You yourself differentiate between Judaism (the religion) and Jewish politics. According to the logic of those who accuse you, critics of “Islamism" must be Islamophobes. Now, your point regarding Islamists and Islamophobia deserve attention. I don’t believe that there are such things as ‘Islamists’ or ‘Islamism.’ In Islam, like in Judaism, there is no distinction between the political and religio. Islamism is a Zionist/Neocon invention. It was created in an attempt to draw an imaginary dichotomy between the religious reality and the political. It is basically a projection of the Jewish post-assimilation reality on the Muslim world. It was invented in order to provide a 'rationale' for America and Britain so they could flatten Arab cities on behalf of Zion. I left Israel because I didn’t want to live on someone else’s land. But when I witnessed the Jewish Diaspora Zionists' hawkish attitude and even worse, the duplicity at the core of the Jewish anti-Zionist discourse, I realised how intense Jewish identity is. I started to dig into it. We are dealing with complex and fascinating people who are shaped by a very old tribal philosophy that morphs quickly. By the time you think that you understand Jewish ID politics, it only suggests that Jewish ID politics has already morphed into something else. I do not need to ask you how about your stand on the U.S. decision regarding Jerusalem - but it would be interesting to know if you see a long-term departure from the "Trump’s Middle East policy. At the moment, the outcry is particularly great - which is partly due to the relevance of Jerusalem. However, there had been no constructive development in the Middle East under Obama's leadership. How do you rate the role of the USA - and especially the Israel lobby? You once said that AIPAC offered you money to become a member. Was the amount not big enough? I'll be honest with you. I do not think that anyone, including President Erdoğan, can liberate the Palestinians except the Palestinians themselves. How they do that is indeed a complicated question. I believe that Abbas is right. Time is their weapon. To survive is to win. The only people who can destroy the Jewish state are the Jews themselves. This is how they have always done it along their history. In recent years, President Erdoğan has repeatedly, loudly complained of the Israeli government's behavior towards the Palestinians and used harsh words such as "terrorist state" or "child murderer" regarding Israel. Many leaders of Arab states would never dare to do so that concretely. So Erdoğan's popularity in Palestine seems very high. Do you believe that President Erdoğan can build a powerful counter-pole to Israel and the United States? It seems as if the EU member states have also moved a bit toward the Palestinians politically since the last Jerusalem crisis - even if they are looking for political pressure against Israel in vain. What we really see is facts on the ground. Israel and Palestine are one state. One electrical grid, one international pre dial number (+972), one sewage system yet this state is oppressive, abusive and often genocidal towards the indigenous people of the land. Why? Because Israel defines itself as ‘the Jewish State.’ It is a state of the Jews rather than ‘a State of its citizens.’ For the situation to be resolved Israel must be 'de-Jewishified' (stripped of its Judeo-centric exceptionalism and become a state of its citizens, regardless of their ethnicity or religion). However, when this happens Israel will become Palestine from the river to the sea.